In Windows 10 Creators Update version 1703 build 15063 (in actual fact, starting from Windows 10 Build 14986), Microsoft has been pushing Windows PowerShell as the alternative to Command Prompt hard. One such change is Windows PowerShell is default entry in Win+X menu instead of Command Prompt. 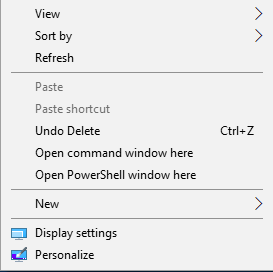 In addition, the “Open command window here” in extended right click menu is been replaced by “Open PowerShell window here” too. If you prefer to use Command Prompt over Windows PowerShell, use the following registry hack to revert and bring back the “Open command window here” in the hidden extended right click menu. Right click on the cmd registry key, and select Permissions. In the Permissions dialog box, click or tap on Advanced button. In Advanced Security Settings dialog box, click or tap on Change link after the Owner field. When prompted to select user or group, enter the user name of your user account (including the email address if you’re logging in with Microsoft Account) in the text field of the object name to select. An alternative is to input the “Administrators” group to set all users in the Administrators group as owner. Hit OK twice when done to go back to Permissions dialog box. In the Permissions dialog box, select Administrators group in the top section, then check the checkbox for Full Control under Allow column at the bottom section. 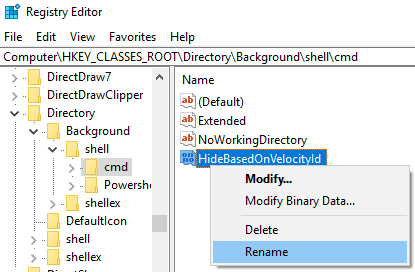 Right click on the HideBasedOnVelocityId value name in the right pane (which has the default value data of 0x00639bc8 (6527944)) and select Rename. Change the name to ShowBasedOnVelocityId. 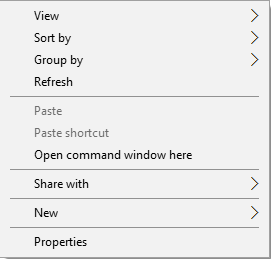 The “Open command window here” is now appearing in the extended right click menu when pressing Shift + Right Click on a folder, together with “Open PowerShell window here”. If you want both of them to appear together, you can stop now and skip the rest of the steps. Right click on the ShowBasedOnVelocityId value name in the right pane (which has the default value data of 0x00639bc8 (6527944)) and select Rename. Change the name to HideBasedOnVelocityId. 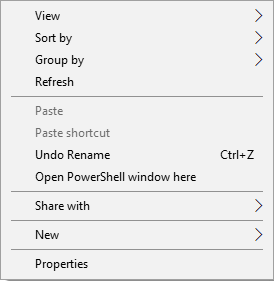 The “Open PowerShell window here” is now removed and disabled on extended right click menu.